First study pianists comprise approximately a quarter of the School’s student body, making the Keyboard department a dynamic and inspiring place in which to study. 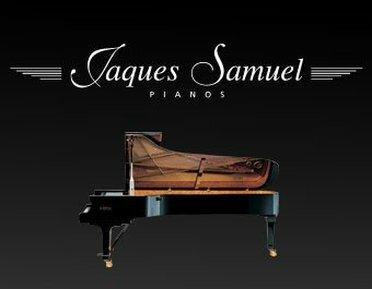 The Purcell School acknowledges the generous support of Jacques Samuel Pianos. In addition to expert individual tuition, the department runs weekly group classes to allow pianists the opportunity to come together, share ideas and learn from each other. Student progression is further enhanced by regular masterclasses given by internationally renowned pianists, and an annual piano course which culminates in a concert involving all Middle and Upper School pianists. There are many standout performance occasions for pianists. Auditions are held each year to secure the chance to perform a piano recital in a prominent London venue, and the department undertakes international and domestic performance trips when possible. 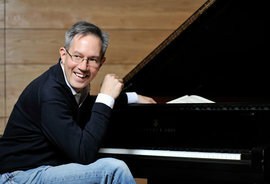 Notable destinations have been Italy, to perform at the Fazioli Concert Hall in Sacile, and Scotland, to play with the Royal Conservatoire of Scotland as part of their International Piano Festival. The faculty has a strong international outlook, intended to prepare students for life after The Purcell School, which has seen Alim Beisembayev become the first winner of the Van Cliburn Junior Competition while a student at the School and triumph as an alumnus in the 2017 Jaques Samuel Pianos Intercollegiate Piano Competition. The School is a Fazioli Centre of Excellence and boasts an enviable piano fleet. All boarding first study Sixth Form pianists have the use of an upright piano in their study bedrooms. William’s international career was launched in 1984 when he won the first prize, gold medal and Rosa Sabater prize at the Concurso Internacional de Piano in Jaén, Spain. His concerto début at St. John’s Smith Square with the Philharmonia Orchestra followed soon after. He subsequently added successes in the Busoni, Cleveland, Iturbi, and Scottish International Competitions. Performances in New York, Moscow and St Petersburg (under the auspices of the Sviatoslav Richter Foundation), and in Europe have drawn critical acclaim and enthusiastic audiences. Invited to China, supported by Arts Council England, William has performed and given master classes in Shanghai. He has also performed in Australia at the invitation of the Chair of the Australian Piano Pedagogy Conference and was the keynote speaker, giving a recital and master classes, at the Institute of Registered Music Teachers of New Zealand conference in Auckland. William maintains a busy schedule of recitals, master classes, teaching and lecturing both in the UK and abroad, as well as regular commitments to some of the finest international piano summer schools. A musician of wide interests, William has performed with ensembles such as the Brodsky Quartet and members of Guildhall Strings. He has also collaborated with singers Steve Davislim and James Rutherford and has recorded some fascinating and little known repertoire in the chamber music field. His concerts have been broadcast on television and on radio in Europe and the US. William has performed at all of London’s major venues. His concerts have been broadcast on BBC Radio 3, Classic FM, and BBC television. A distinguished teacher, William is in demand for master classes and adjudication in the UK and overseas. His students’ achievements have included places and scholarships to study at Curtis Institute of Music USA, Universität der Künste Berlin, Royal Academy of Music, Royal College of Music, Guildhall School of Music and Drama, Royal Conservatoire of Scotland and Trinity Laban. His students have also won important international competitions, including Liszt International Competition (Budapest), Weimar Liszt International Competition, Jeunesses Musicales Romania, and Lagny-Sur-Marne International Piano Competition. Students have also established successful careers as recording artists. William is a Professor at the Royal Academy of Music www.ram.ac.uk.